As small as Malacca may be, it still has a fair share of shopping malls to accommodate the needs of the locals. These malls offer a variety of stores such as fashion outlets, entertainment centres, eateries etc. Having all the facilities available in one location is one of the reasons people frequent shopping malls. Let us introduce the 5 best shopping malls in Malacca to you in this post. 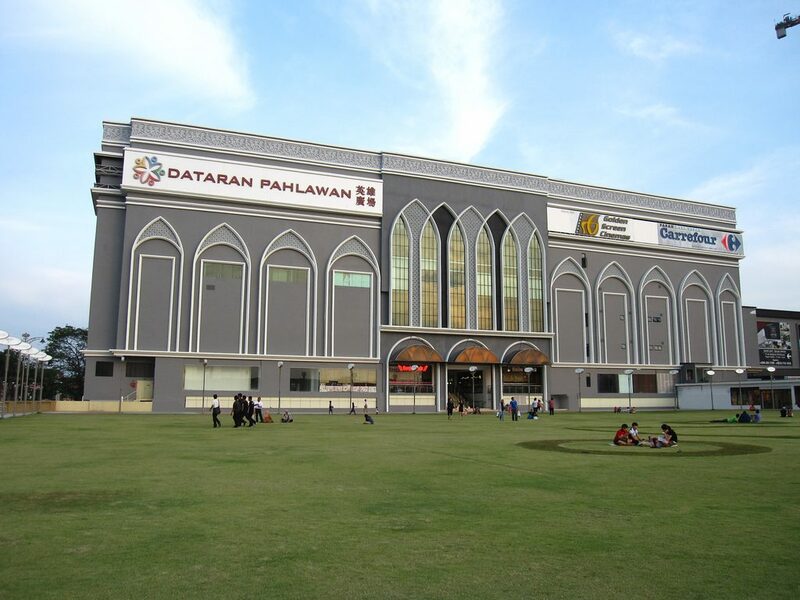 The Dataran Pahlawan Mall in Malacca is surrounded by popular tourist attractions such as the Taming Sari Tower, A’Famosa Fort and various museums. Hence, tourists visiting the area will most likely enter the mall as an escape from Malacca’s heat. Although its air-conditioners are a major factor for the crowd’s visit, this shopping mall boasts a great variety of shops, ranging from fashion apparel stores to F&B outlets and jewellery. Due to its large space, it is able to incorporate many international and local brands respectively, namely Charles & Keith, Uniqlo, Birkenstock, Victoria’s Secret, Mango, Padini, SK Jewellery and many more. For food and beverage outlets, an array of cuisine is offered at the Dataran Pahlawan Mall. A&W, Bar-B-Q Plaza, Dragon-i, Subway, Station Kopitiam, Sakae Sushi, Starbucks are some of the F&B outlets located inside of Dataran Pahlawan. Be it Chinese, Japanese, Western, or Malaysian, there will surely be something that matches your preference. Besides shopping and food, leisure and entertainment are in store for you as well, here at Dataran Pahlawan Mall. You can watch a movie at the Golden Screen Cinemas, bring your child to the Kodomo Playground, or have fun with karaoke at Dreambox or Famosa Idol Family Karaoke. There’s always something to do in this mall, so don’t miss this out when you’re in Malacca! Hatten Square is a shopping mall that is right below the 4-star luxury hotel, Hatten Hotel. Around 1,500 parking spots are available, with specialised sections for single female drivers. Even though it isn’t very huge, it is a proper mall with sufficient stores and services for its patrons. Additionally, it’s interconnected with the popular Dataran Pahlawan Mall and close to Mahkota Parade as well. Hence, it’s always easy to head over to either of these places when you want to see more. One of its main attractions is the IT section that takes up the ground floor of Hatten Square. IT@Hatten offers a myriad of affordable IT gadgets and accessories for computers, mobiles, tablets and so on. There are also boutiques here offering female clothing that may come in smaller sizes compared to major fashion brands. However, H&M is in Hatten Square as well, so you can always do some shopping there instead. A cute café called Teddy Bear Café (TBC) is also situated inside Hatten Square. The reason for this name, Teddy Bear Café, is reflected in the café itself. Small and big teddy bears in different sizes and colours fill the spaces of the cafe: on chairs, on beanbags and on crates used for decorations. Food-wise, TBC serves a fusion of Western and Asian cuisine, from bruschettas to popiah and curry chicken, offering its patrons a wide selection of food. Located opposite the Dataran Pahlawan Mall, Mahkota Parade is another large mall with around 200 stores and more than 1,000 parking spaces available. Mainly visited by the locals on weekends and public holidays, Mahkota Parade is also frequented by tourists who are travelling around the area. Across the Syed Abdul Aziz Road, there are multiple accommodations such as homestays, hotels and guesthouses, which makes it convenient for tourists to visit the mall. Mahkota Parade houses the famous Nadeje Cake Shop which originated in Malacca. The Nadeje Cake Shop, known for its delicious mille crepes, offers a French-like ambience with spacious seating for its customers. With various flavours of mille crepe on display (alcoholic and non-alcoholic), this place can get pretty crowded on the weekends and public holidays. Tourists from all over Malaysia and Singapore will be queuing for slices of this heavenly mille crepe, so be prepared! Popular restaurant chains in Malaysia such as Tony Roma’s, Secret Recipe, KFC and Manhattan Fish Market can be found in Mahkota Parade as well. Furthermore, fashion apparel stores such as DC Comics Superheroes, Converse, Giordano and the like are also located in Mahkota Parade. In addition to a complete shopping and dining experience, mmCineplexes in Mahkota Parade also allows you to indulge in the latest movies comfortably in its refurbished cinema halls. 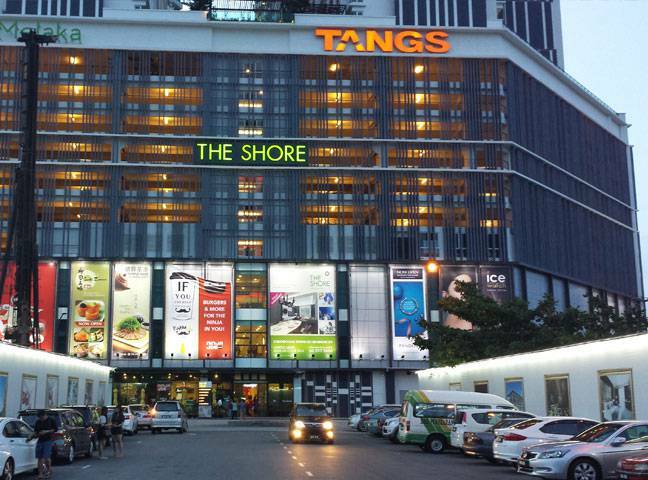 Comprising a hotel, an oceanarium, a sky tower and a shopping mall, The Shore is definitely one of the modern developments in this UNESCO World Heritage Site. The Shore boasts a modern architecture, with a broad use of glass and glossy tiles for the whole building. Retail stores in this mall include famous brands like TANGS, Guy Laroche and Pandora; F&B outlets include Starbucks, Seoul Garden, Nando’s, Sushi Zanmai etc. The biggest attraction in The Shore would be its oceanarium, well-known for housing the world’s longest aquarium tunnel. Besides finding many types of sea life in the oceanarium, visitors are also able to get interactive with them. This involves visitors touching the sea creatures, and it can be extremely exciting for children to be able to feel the skin of these animals. Overall, The Shore Oceanarium can be great fun for families with kids. The Shore Shopping Gallery also consists of the Riverside Promenade, where a landscaped musical fountain will be built. A mangrove walkway where pedestrians can catch sight of crabs, shellfishes and such is also being planned. The Shore Shopping Gallery truly has everything in one location, ensuring that there is something to do for everybody. Another one of the premium outlets popping up in Malaysia, the Freeport A’Famosa Outlet is about a 5-minute drive away from the A’Famosa Resorts. After a fun-filled day at the resort, it’ll be nice to do some shopping at a relaxed pace in Freeport A’Famosa. The architecture of Freeport A’Famosa contains elements of Dutch heritage, signifying its relation with the Dutch in the past. A windmill and fountain are also built here, creating a European-like scenery for visitors to take pictures. Encompassing an area of 180,000 sq. ft., this outlet offers brands like Nike, Puma, Sacoor Brothers, Camel Active, Carlo Rino, Cotton On, Forever 21, Ed Hardy, Elle, Levi’s, G2000 and many more. If you’re not in a hurry, you can spend a day here shopping for all sorts of items at a bargain. Because the outlet is located about 30km from Malacca’s town centre, you can choose to make a stop there while heading back north. With more than 1,500 parking spaces available, patrons are mostly expected to visit the place by car or tour buses. 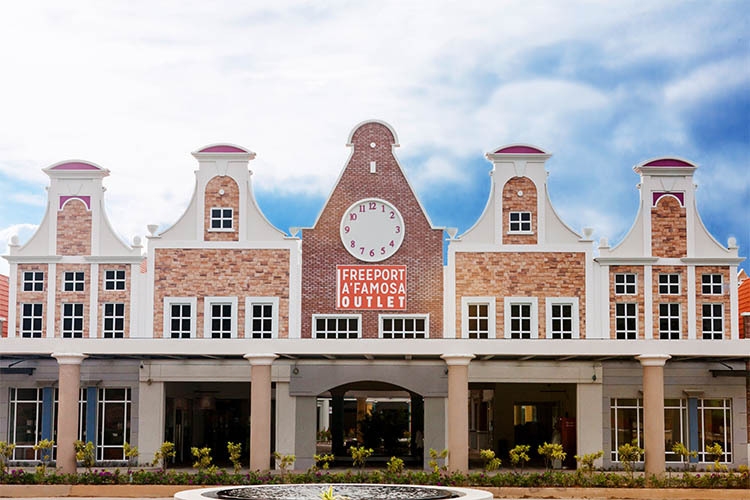 Freeport A’Famosa provides F&B outlets as well, such as PappaRich, KFC, Marrybrown and Embok’s Food Court, so you’ll never be hungry. A complete list of the 5 best shopping malls in Malaysia has been made for you. We hope you enjoy shopping in Malacca, and don’t forget to shop till you drop!